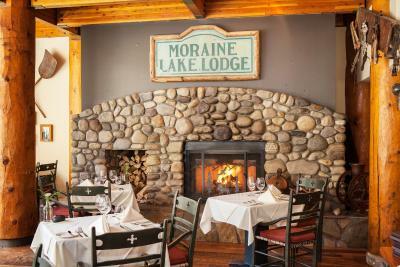 Lock in a great price for Moraine Lake Lodge – rated 9.1 by recent guests! 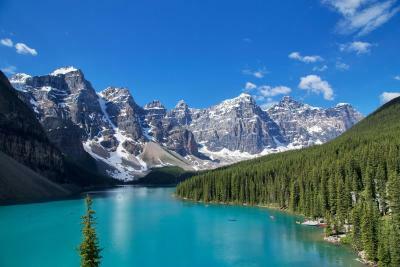 You cannot experience Moraine Lake in a more stunning way. 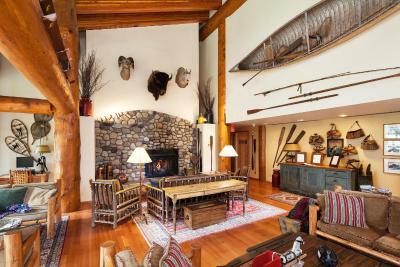 This property is excellent and stunning. Incredibly clean and luxurious. 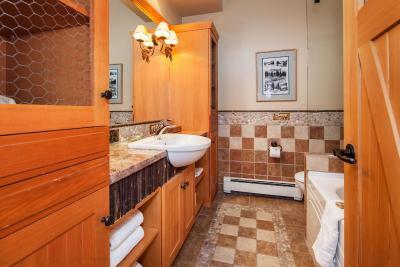 Wonderful & comfy lodging w/large, great soaking tub. 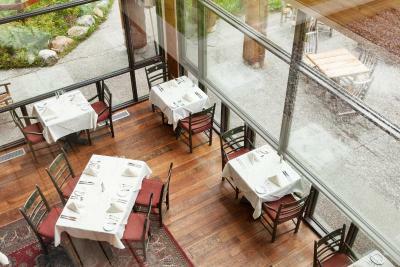 Excellent dinners & great setting in dining room. Breakfast buffet was superb w/many choices. Provided a nice card w/champagne for our wedding anniversary. 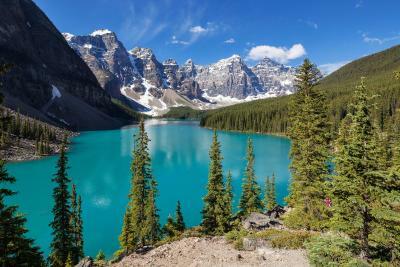 Specialy the colour oficial the Lake Moraine, the mostrar beatiful in Canada. JJ the manager (?) ego received us. The quality of the cabine. The Donner quality. One of the best views in the world from this property. 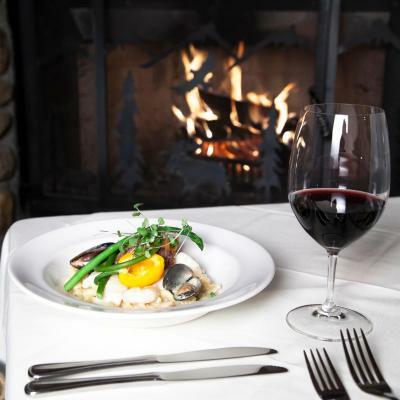 Great trails nearby, canoeing, friendly staff, and tasty meals. The Lodge provides guests dedicated parking so you don't have to fight for a spot. Loved the stay here. Unbelievable hotel. Everything that you would expect when paying over £600 a night. Complimentary breakfast and lunch. Canoeing is also free with room key. High end toiletries in bathroom and very luxurious and comfortable bedding. An amazing hotel in an amazing location. Our favourite stay during our time in Canada! 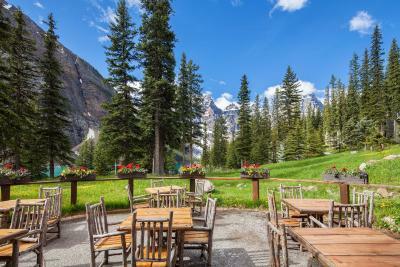 The location of this establishment is just wonderful and the view of the lake and mountains from the deck of our room was just superb. 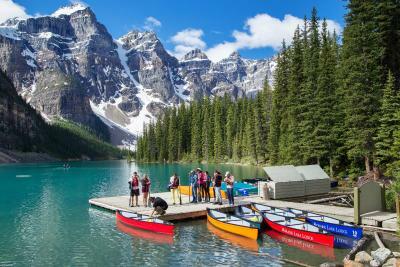 That fact that there was free access to canoes on the lake was an added bonus. The dining room and library were lovely and light and the service in the dining room for dinner and breakfast was excellent. 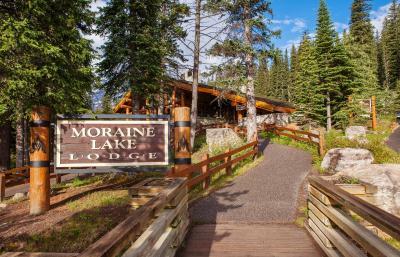 Moraine Lake Lodge This rating is a reflection of how the property compares to the industry standard when it comes to price, facilities and services available. It's based on a self-evaluation by the property. Use this rating to help choose your stay! 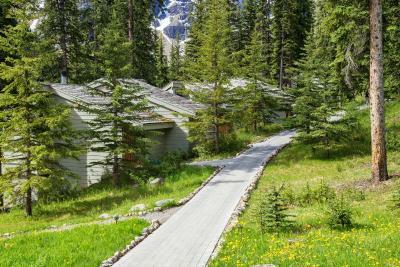 Moraine Lake Lodge provides the guest rooms and cabins with a soaking tub in the bathroom. 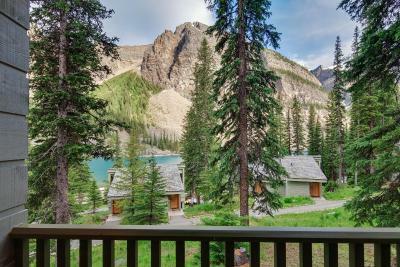 They also boast a private balcony with views of Moraine Lake. 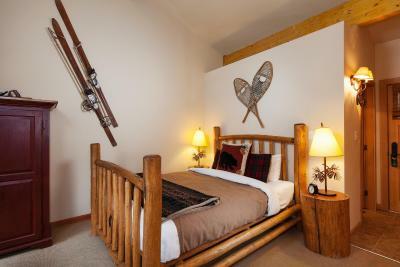 This mountain retreat offers no telephones or TVs in any of the accommodations. 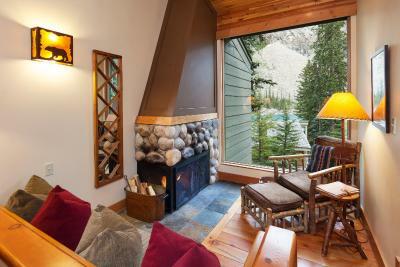 Internet access and a telephone are available for use in the lobby of the Lodge Moraine Lake. Free tea, coffee and evening presentations about Banff National Park are offered. 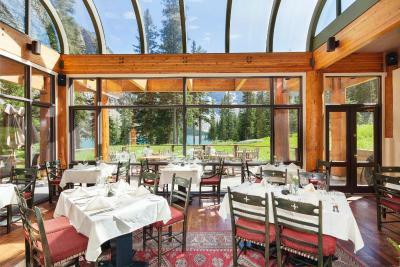 The Walter Wilcox Dining at the Moraine Lake Lodge serves fine regional cuisine for breakfast and dinner. 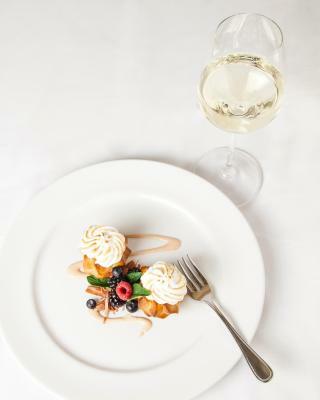 For more casual dining, guests can enjoy deli foods, snacks and ice cream at the Snowshoe Cafe. 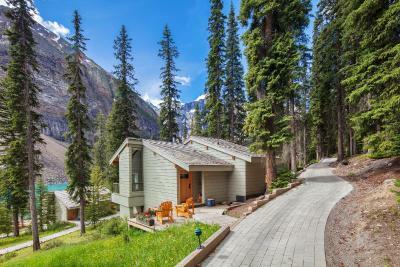 This property also has one of the top-rated locations in Lake Louise! Guests are happier about it compared to other properties in the area. 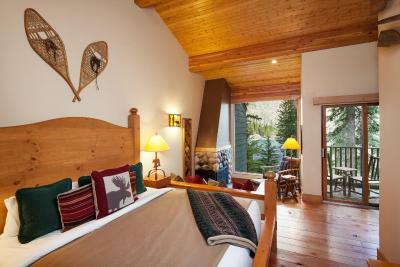 When would you like to stay at Moraine Lake Lodge? 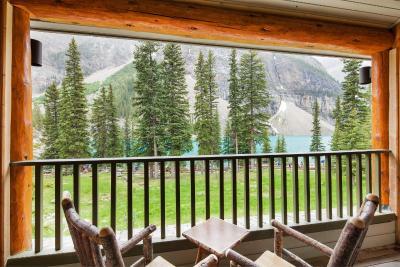 This cabin features log furniture, a seating area with fireplace, and a balcony with views of Moraine Lake and the mountains. 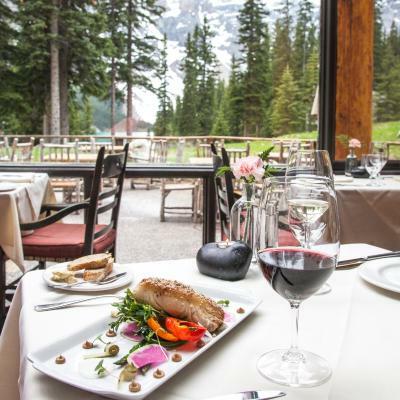 House Rules Moraine Lake Lodge takes special requests – add in the next step! 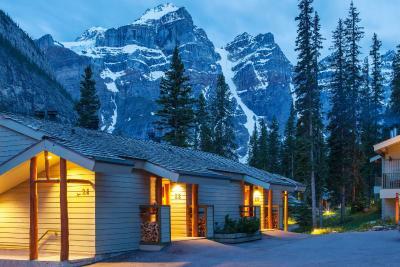 Moraine Lake Lodge accepts these cards and reserves the right to temporarily hold an amount prior to arrival. You can't just drink in bar area, table reservation has to be booked via reception in advance and you need to eat at the hotel. Nothing else around the hotel so this is really your only option for food/drink in the area. That could be both a good or bad thing. The cabin had no tv, no phone , not working shower! For a $1000 per night that is unacceptable! 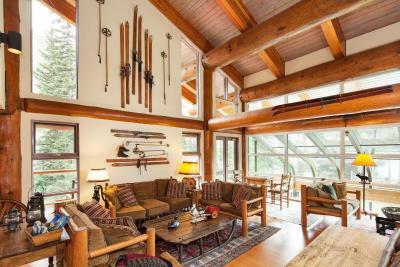 The location of this property is amazing - it can’t be beaten! The lodges are really comfortable with ‘easy to light’ log fires, a massive bed, lounge area and lots of little extras - chocolates, dried fruit and half a bottle of wine. 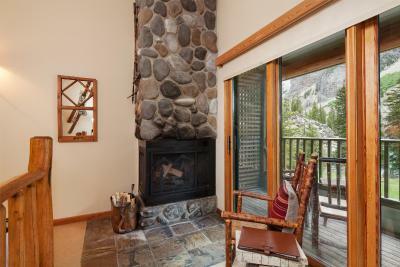 Each lodge has its own little balcony overlooking the beautiful lake. The main area has a bright and comfortable library, where a complimentary lunch and afternoon tea are served. There are lots of games and books in this area too. 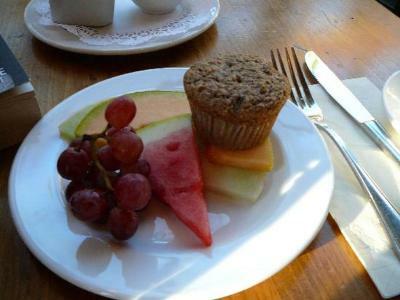 The food is amazing too - very good breakfast with cooked options, and a superb evening meal. All staff that we met were really friendly and helpful - absolute gems! 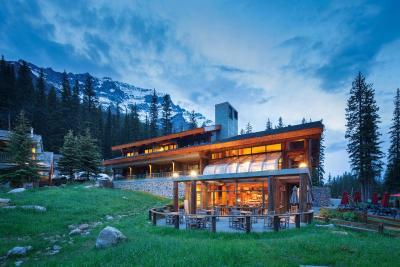 An amazing, amazing residence - the best by far on our 12 day trip to Canada! We loved everything about this property. The views, the gorgeous room, the bed, the restaurant. It was so comfortable, spacious and there was a high attention to detail with fixtures and decor. Great setting with excellent dinners. 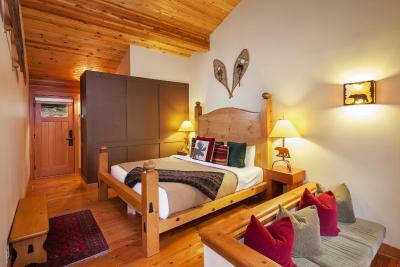 Rustic comfortable rooms. Unfortunately breakfast service was chaotic and we had to ask repeatedly for missing items. Beautiful location and lovely accommodation. Loved the log fire. Guided walks were excellent as was the evening talk we attended. The food was of a very high quality and the menu varied. 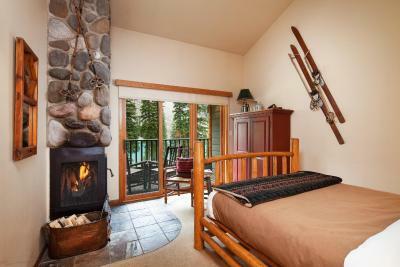 We stayed at the private cabin with a king bed. Perfect room with a perfect view. Enjoyed our evening by the fireplace every day. There was a bottle of red wine in the room as a complimentary. They also offer a lot of activities to do. We've joined guided hiking, afternoon tea, and free canoeing. 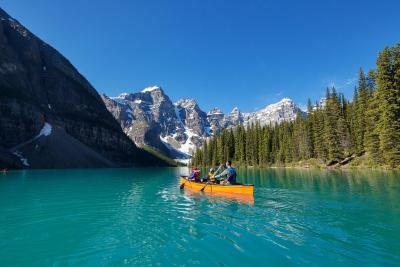 Especially, canoeing at the morine lake is a 'must do'. Highly recommend it. The rooms were far too small and of below average fitout for the tariff charged.